Every Friday, DailyFinance scours deal sites, social media and retailer emails to find the best deals that are available the coming weekend. Here are a few of the best we found. Daylight Savings Time begins Sunday morning, when your clock jumps from 1:59 a.m. to 3 a.m. and the days "suddenly" get longer. 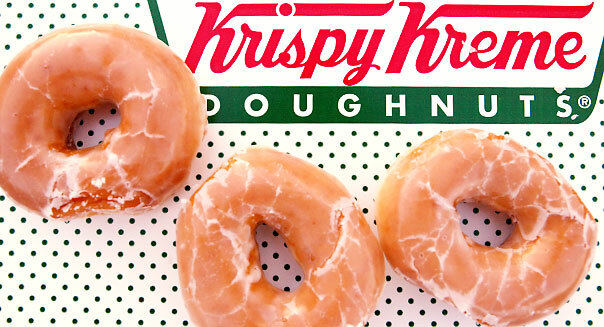 To celebrate, Krispy Kreme is offering a free original glazed doughnut in a promotion entitled "lose an hour, gain a doughnut." There's a limit of one free doughnut per customer when you go in to your local participating Krispy Kreme (KKD) on March 10. The website has a full list of participating stores. DealNews alerts us that CreditKarma.com is currently offering free subscriptions to its new Credit Karma Beta service. The credit site has long offered free credit scores, but it has added new features including bill reminders, fee alerts and rate change notifications. Note that only the first 5,000 people to sign up will get the free accounts. As of this writing, just under 2,500 sign-ups were still available, so act fast. Burger King (BKW) really wants you to try its new coffee blend. And it's so determined to win you over that it's been offering 12-ounce cups of Smooth Roast coffee for just 25 cents. This is the last weekend the deal will be available, so get to a participating location by Sunday to get your cheap cup of royal joe. This Saturday is "Free Paint Saturday" at Ace Hardware. Just print out this coupon from Ace's Facebook page and you can redeem it for a free quart of paint. And if you feel like filling out the coupon, you can also register for a chance to win a $1,000 Ace gift card. The deal is good on March 9 only.